Do you want to sell your house quickly and still get a fair price? Do you owe more on your house than what it is worth? Do you need to work a short sale? Are you making double payments, or behind on payments? 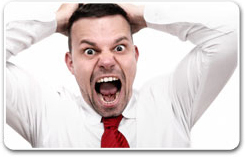 Are you facing divorce, liens, or being transferred? Would you just like to sell your house quickly without a Realtor? If you answered "YES" to any of these questions, we've got the answer. We are local investors in Amarillo. We buy Amarillo houses in all price ranges, in any condition, and any area, from people in situations just like yours. 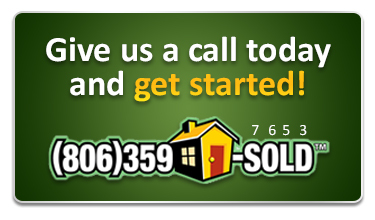 When you call us you can expect solutions that will give you a quick sale at a fair price with no hassles. In the past, if your house didn't need too much work and was in a good area you could sell your home by calling a Realtor. Now that our market has taken a down turn, it usually takes a Realtor several months to sell your house. It they do get it sold they usually charge you 6%. Many times your house sits for months and months and still won't sell. This happens more than you may think. During this time you are still responsible for property taxes, insurance, and mortgage payments. That can add up to thousands of dollars. If your Realtor is able to sell your house, get ready for picky buyers with no money for closing costs. They usually want you to discount the price, make repairs, AND pay their closing costs. Selling your house 'For Sale by Owner' isn't any easier. Many of the people who call you will want you to carry the note. They can’t qualify for a bank loan, so they want you to be the bank. You will probably get plenty of 'lookers.' People who just want to check out the inside of your house but aren’t really interested in buying it. They come in your house without much notice, look at all of your things, make a few negative comments about your floor plan or decorating taste, and then leave never to be heard from again. This process can take months and doesn’t always get your house sold. There IS a faster and easier way. We are not picky homeowners, and we are not wanting to list your house for months on end. We would like to buy your house in it’s as-is condition. You don’t have to make any repairs and we’ll pay the closing costs. We take care of all the paperwork and close in just a few days if you need us to. Because we pay all cash we always buy at a discount, but when you compare our offer with what you would actually walk away with after months of holding costs, realtor fees and closing costs, you’ll see that our offers are very fair and our terms are outstanding! After speaking with you about your property and your situation, we guarantee to have an offer to you within 24 Hours. Most of the time we can make you an offer the same day you call. Even if we don't buy your house, we can probably give you some great ideas that you probably haven't thought about. We are firm believers that once you have good information you can make a good decision. We would love to visit with you about your situation. Don’t wait another minute to get the answers that you need. If you have a house that you need to sell in Amarillo or Canyon, pick up the phone and call us today!